I recently found the series The New Creatives on BYUtv, watching it with my tinker loving sons (ages 5-11). We have REALLY enjoyed it, watching all the episodes quickly and more than once. With a focus on creativity, the show highlights an artist, gives a collaborative project, and ends with a challenge for us the viewers. Each episode encourages us, “Don’t just watch stuff, make stuff” (Peterson & Craig, 2017). 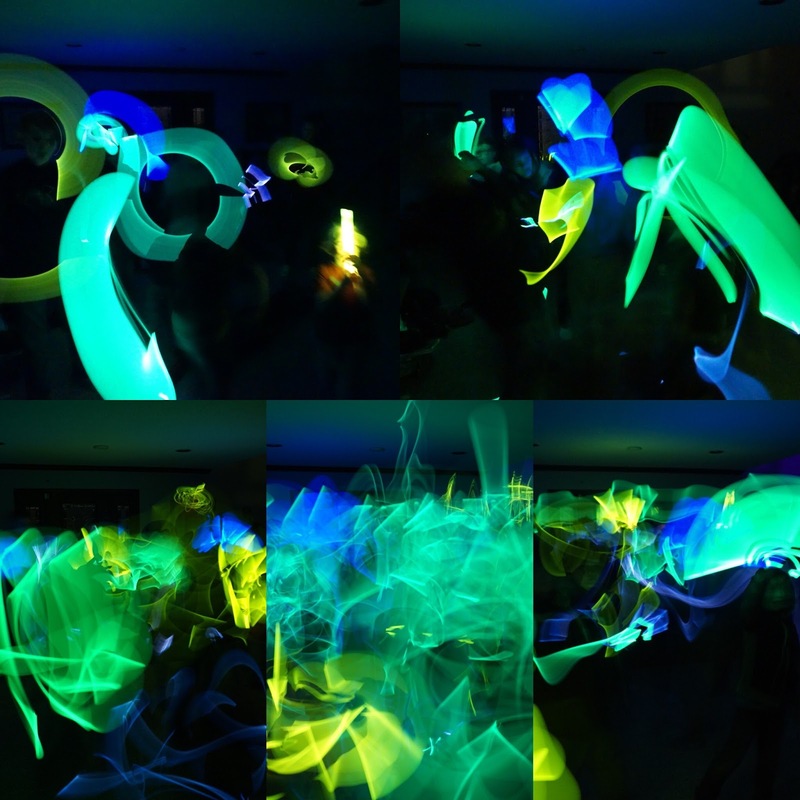 One episode highlights Patrick Rochon, a light painter. To me, this approach falls right in line with loose parts play (Read my summary of Nicholson's article here. ! 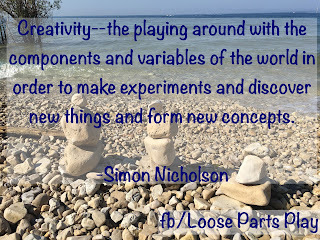 Here is one of my favorite definitions of creativity by Simon Nicholson. Rochon finds and makes his own light “tools”. He uses modified flashlights, light sabers, light wands, and gels and filters, to experiment with light. He captures the trace of light and body movement through prolonged exposure camera techniques (Peterson & Craig, 2017). The New Creatives episode gives us the viewer the challenge to try our own light painting. As part of the episode, Rochon gives a tutorial, listing needed items and tips. DSLR camera with tripod that can do prolonged exposure. 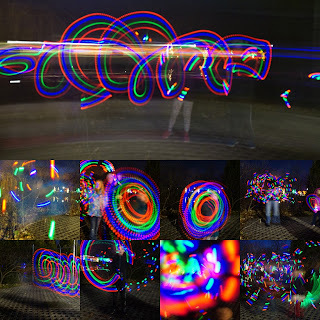 There are also many smartphone apps for light painting (Pablo, Slow Shutter, Light Paint, Holographium). Dark clothes help you blend into the darkness. Turn off the lights! A dark room or outside space away from lights is ideal. Set the camera for an open shutter of several seconds (we did 4) of prolonged exposure. Start the camera (a remote works well if you want to be involved). Make movement with the light. Try other movements. Review your light art on the camera screen. Let go! Experiment. Try new ways of movement. (Peterson & Craig, 2017). 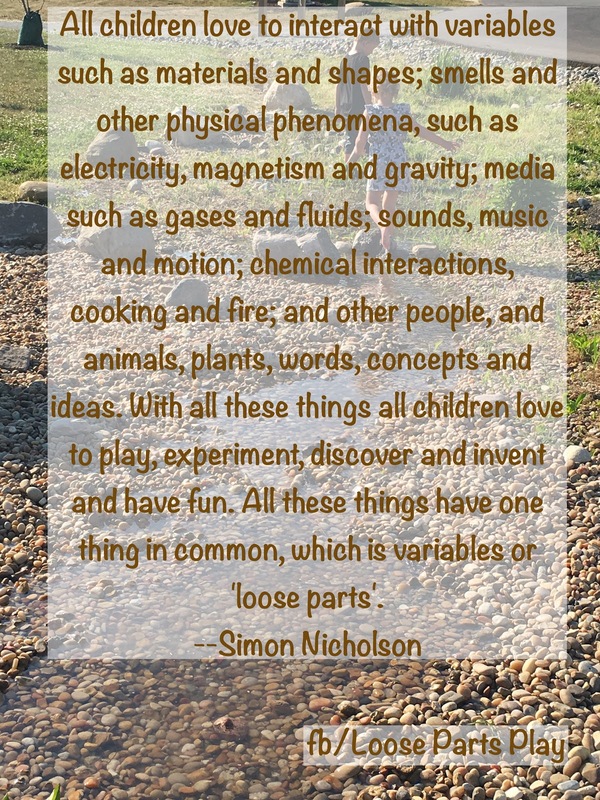 This last bit reminds me most of loose parts! 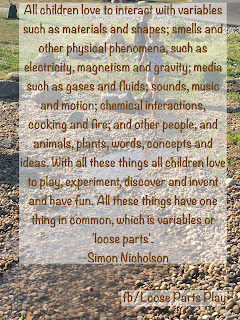 The light, darkness, movement, and various tools become the variables to explore, experiment, play, discover, and have fun with. We first accepted the challenge when we had a bunch of preteen and teen boys playing Capture the Flag in the dark. They all were armed with glow sticks! It was a perfect opportunity. My husband quickly set up a camera on a tripod and off went the lights. The boys played and danced as the camera captured the movement of light over time. We took a break to explore their work and started again. What a fun creative experience! It was quick, inexpensive, and gratifying. We next tried the concept at Wellfield Botanic Gardens in Elkhart, Indiana, as they hosted their first winter lights display this year. As part of my volunteer work there, I brought in a variety of activities such as nature art, stick building, outdoor STEM loose parts, and a display on animals in winter. We also thought it was a perfect time to explore light painting with the public. My 11-year-old son became our ight painting tutor and cameraman. He quickly explained light painting, let people choose lights, took pictures with the camera set for prolonged exposure while the people explored light, and then shared the results with the participants. He really enjoyed the shock of the people as they saw their light painting creations. My younger boys were also there and analyzed their own results and how others created unique effects, ready to try new movement and lights next time. We posted the pictures in the online event page. It was great fun! We really enjoyed exploring light as a loose part! It was inexpensive and easy to set up and explore since we already had a camera. The New Creatives episode on light painting is visually appealing and a great tutorial for the basic process. We think you might enjoy light painting as well! 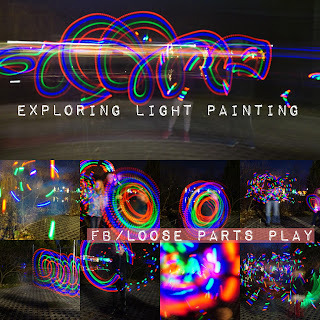 Interested in other light painters? Check out this inspiration! This post contains affiliate links. thanks for ordering through these links if you are interested to help support good content at no cost to you. Here are some other things that look cool!